Well, to be frank, we didn’t happen to just stumble on Yung Lai Siang. 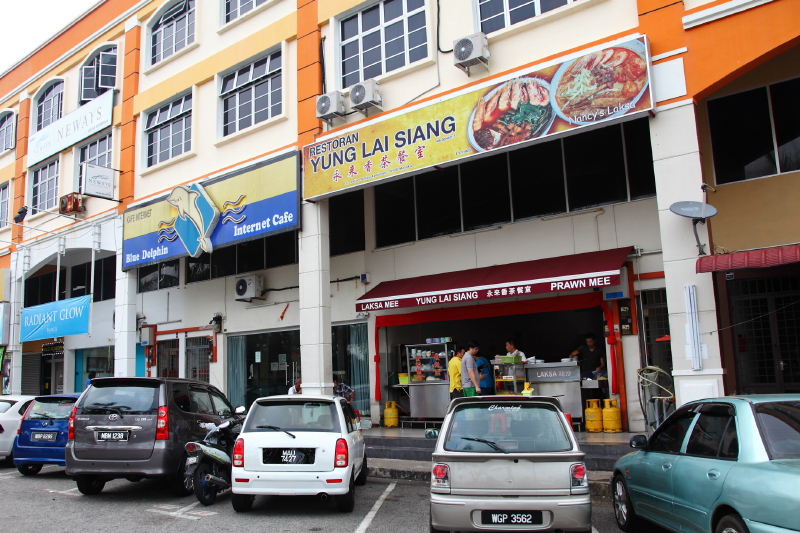 Fortunately for us, we have a very reliable Malaccan friend who is also a serious foodie himself. 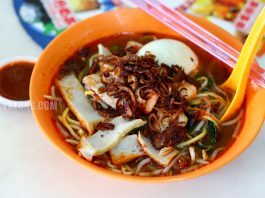 Whenever I need a food recommendation in Melaka, I will refer to him and his suggestions have always been spot on. I guess we share the same taste when it comes to food. 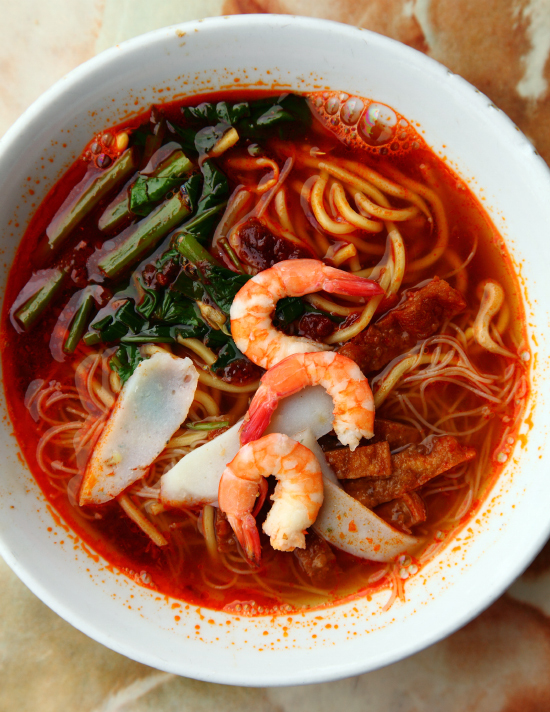 When it comes to laksa, one of his favorites could be found at this coffee shop. Seeing that we have never been here before, I heeded his recommendation and had our breakfast here. 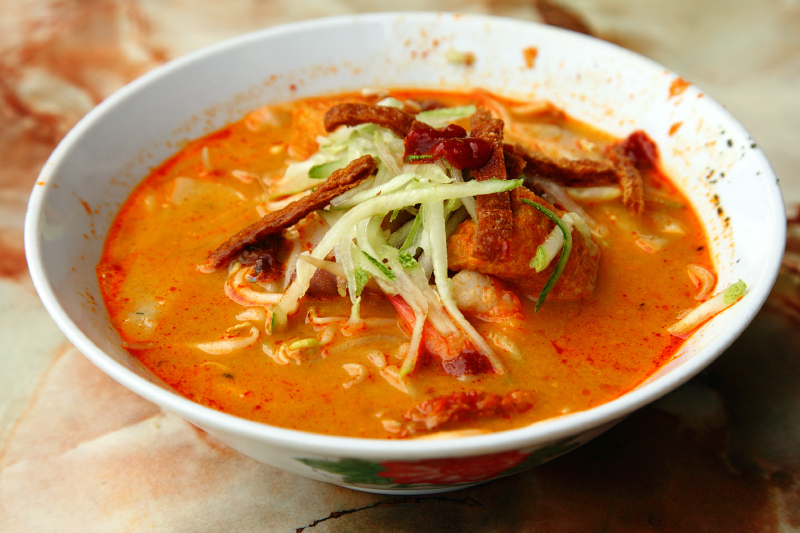 The laksa mentioned here is of course referred to Nyonya Laksa – we’re in Melaka after all. 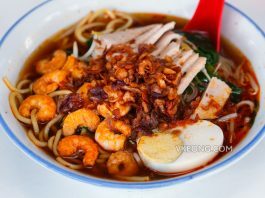 For RM4.50 you get a satisfactory portion of mixed noodles (yellow mee, mihun and some koay teow) with a good amount of toppings. I was surprised to see that fried prawn crackers were also used as one of the toppings. It was definitely a first for me and I am happy to say that it really worked. On top of the crispiness provided by the thin slices of cucumber, the prawn crackers added a delicious crunch to the experience. As for the soup, it was not as thick compared to the rest but the flavor was just spot on, not too heavy and could be enjoyed more frequently. 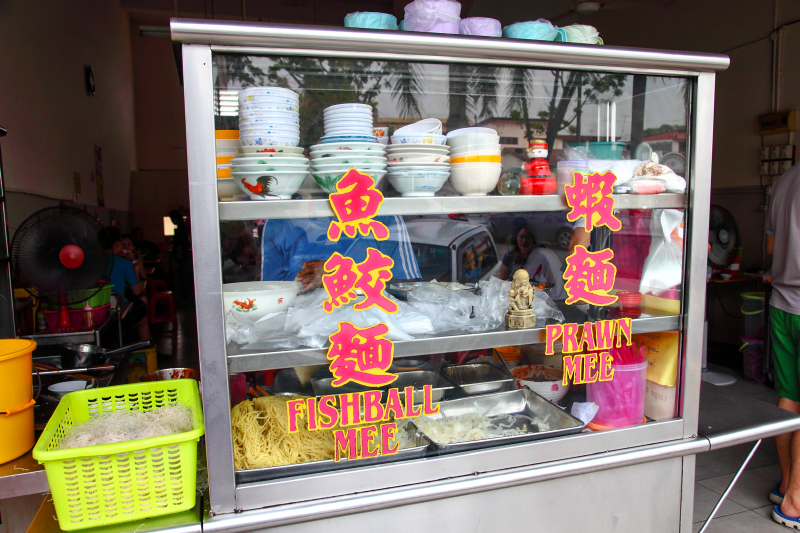 Besides laksa, there’s another stall in the coffee shop that sells Yee Kiao Mee (fish ball noodle) and Prawn Mee. 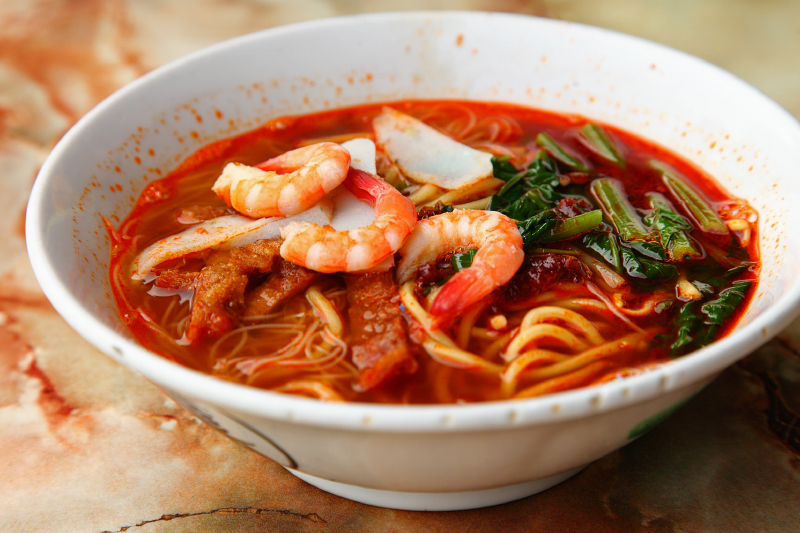 The prawn mee is another speciality here, priced slightly cheaper @ RM4. 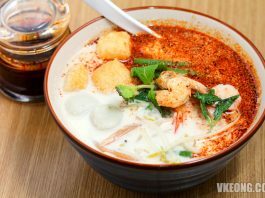 Just like the laksa, the Prawn Mee also sports the prawn crackers so I am starting to wonder if both stalls are actually related. Anyway, although the soup looks a tad diluted it was still quite tasty. But of course do keep an open mind and not compare this with the those in Penang or KL. Overall it was not bad and proved to be a new experience for me. I thought it was quite different in a good way. More importantly, the noodles used do not have that annoying alkaline taste so you could properly appreciate the soup’s soothing flavor. 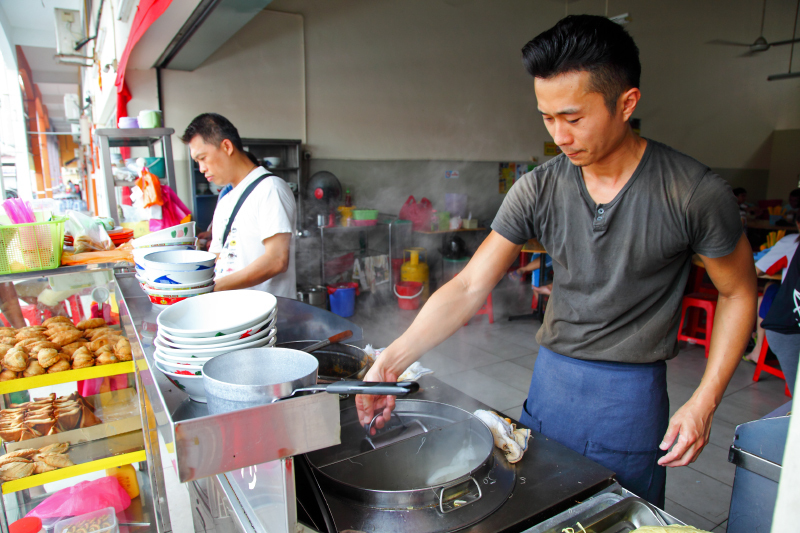 One of the good things about eating at Melaka is that most hawkers are friendly and approachable despite being famous. They are polite and willing to chat unlike those we see back here in KL and Penang. Some of them really have an attitude problem towards their customers.